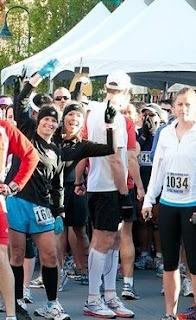 Race photos are available from Valerie Lemiuex, a photographer who was at the Rock 'n' River events a couple weeks ago. Her website has galleries broken down by race, but unfortunately no way to search by bib number or name. Still, I was able to find my finish picture pretty easily by clicking through the half marathon gallery. Since the prices were so fair - From less that a dollar to around $5, depending on size - I went ahead and ordered a 5 x 7. 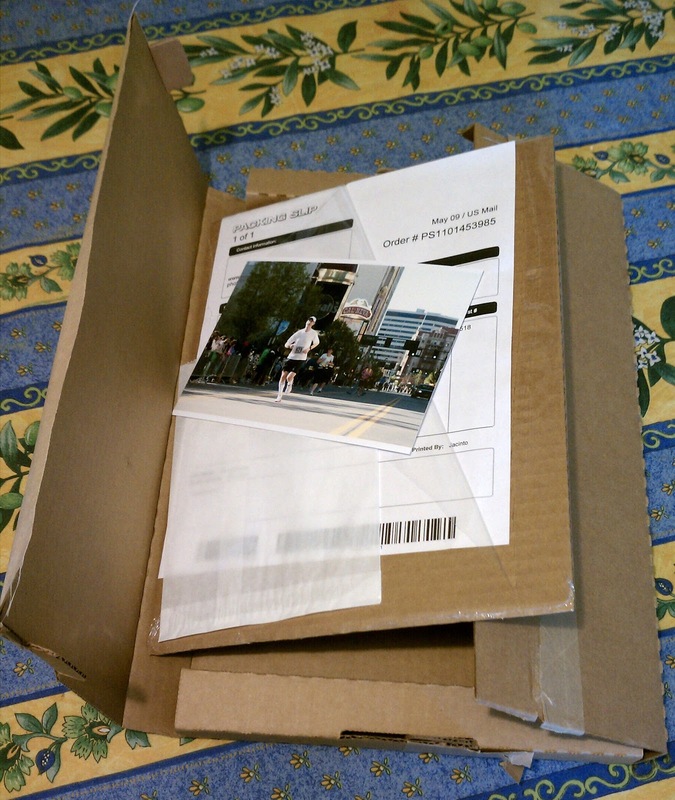 Even though shipping was about $3, it was still a pretty good deal compared to some race photo sites that try to charge $20 or so for a race photo. 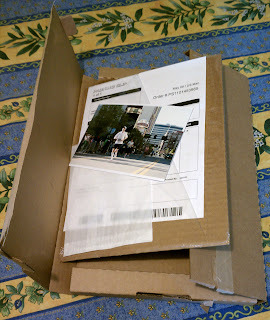 When the photo came, less than a week later, I could see why shipping had cost so much - First, it came from New York, and in an actual box! I had assumed I'd see an envelope show up. Kind of overkill for just a photo. Still. a pretty good deal. If you're willing to search through the online photos for yours, it might be worth it.